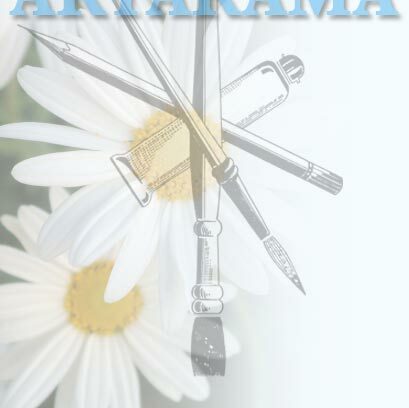 If you enjoy the thrill of bidding, then you’ll want to participate in the Artarama Silent Auction. This auction is supported by the generous donation of original artwork by the Artarama exhibitors. All auction proceeds are then used for scholarships for high school seniors pursuing higher education and artist-in-residence programs presented at area schools. Art pieces will be available for viewing and bidding at 9:15 to 10:30 a.m. and 11 a.m. to 12:15 p.m.
See the instruction board at the Silent Auction/Registration Tent for more information or ask a committee member how to place your bid. All pieces are donated by the artists exhibiting their work the day of the show. Some are unique only to the Silent Auction. Our scholarship winners help the Artarama committee to collect these items from the artists as part of the scholarship acceptance rules. The artists like to meet these young individuals and ask about their education.